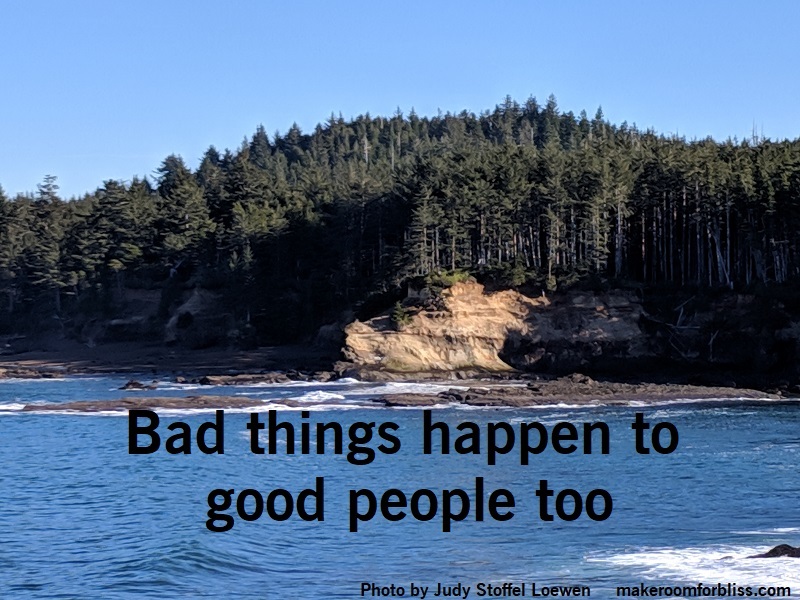 Bad things happen to good people too; if something bad is happening to you right now, do not buy into the story that it must mean you are a bad person. Good people get sick, lose their jobs, get in bad relationships. Having these things in your life does not make you a bad person. Seek out the people who can remind you that you are a good person. Count me as one of them.